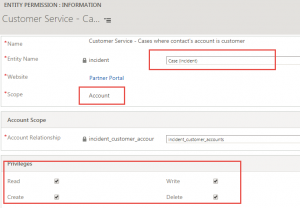 Requirement: Dynamics 365 Portal user should be able to access cases from it’s parent customer as well as sub account of it’s parent customer. 2. 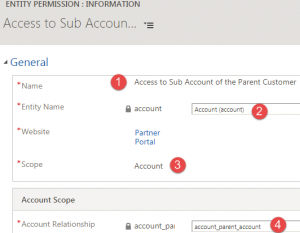 Entity Permissions to access cases from sub accounts of the parent. You can check our earlier article to create portal dev users quickly. 1. 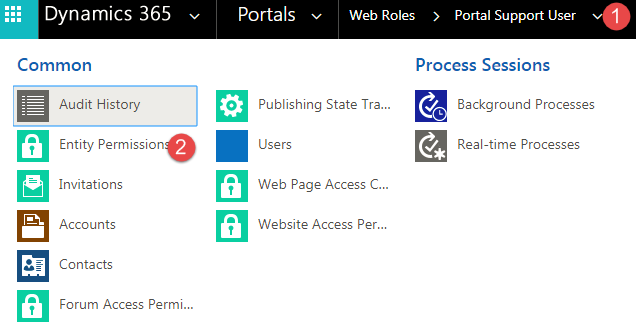 Navigate to Portal->Web Roles->New and let’s say we want create web role as Portal Support User so enter name and keep other fields as default and click on Save. 3. 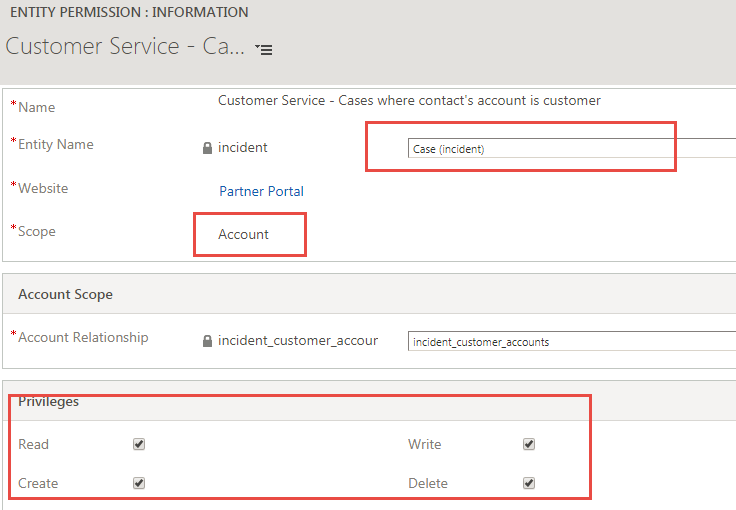 Click on Add Existing button and search for “Customer Service- Cases where contact’s account is customer” and select it. 4. If you will open this entity permission, you will see it is configure to allow access to case entity based on account scope, so contact can see cases of it’s parent account. Let’s see this in action now, let’s say we have one portal contact and we have assigned our “Portal Support User” web role to this contact. (Click on V sign next to contact -> select Web Roles-> Add Existing Web Role and select “Portal Support User” role. Now we need to setup our entity permissions to access sub accounts. 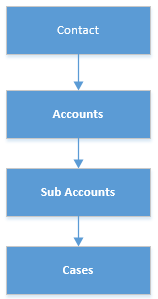 Using this entity permission contact will have access to sub accounts of it’s parent customer. Now to access cases we need to add a child entity permissions. Here we are using Parent scope, to combine our parent and child entity permissions. Parent scope is used to access the entity which are not in a direct relationship. Here contact is associated to account, further account is associated with sub accounts, whose cases we want to access. So to access sub accounts cases we need to use Parent scope here. Now we need to add our “Access to Sub Accounts of the Parent Customer” entity permission to existing Portal Support User web roles and when contact will access cases it will be able to see Cases from the sub accounts as well.